In other years, I’ve had the first blooms in March. Once, I managed snowdrops in February. 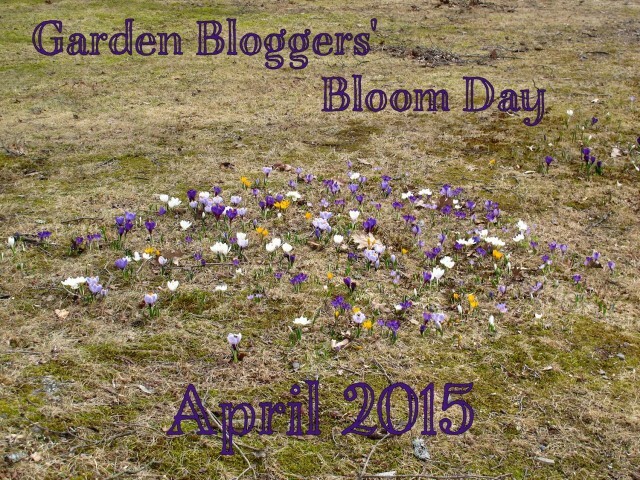 But this year, I almost wondered if I’d have crocuses blooming for Bloom Day. Thankfully, this past week Spring finally arrived and I have a respectable showing. Winter aconites were blooming the minute the snow melted off them. As you can see, their flowers don’t look anything like daffodils. Some day every singleton will be a blooming bunch, I hope. 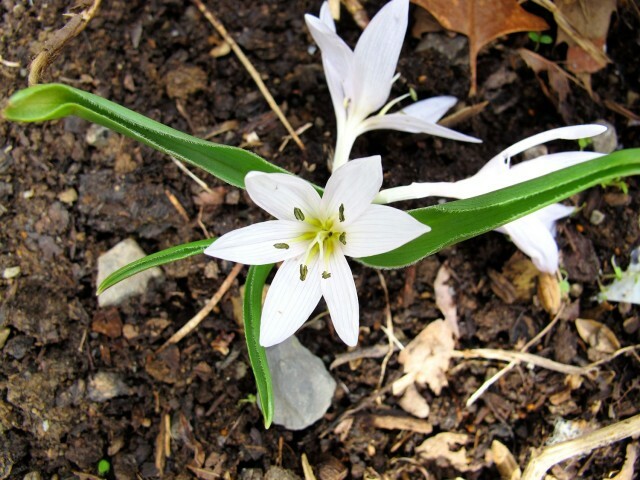 The Bulbocodium vernum, a relative of colchicum, is increasing nicely. 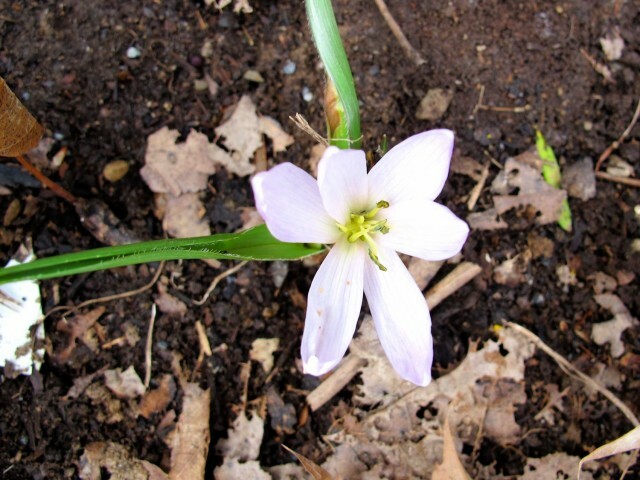 Colchicum hungaricum ‘Velebit Star’ blooms in spring. As does C. h. ‘Valentine,’ which is supposed to bloom mid-February, but doesn’t here. 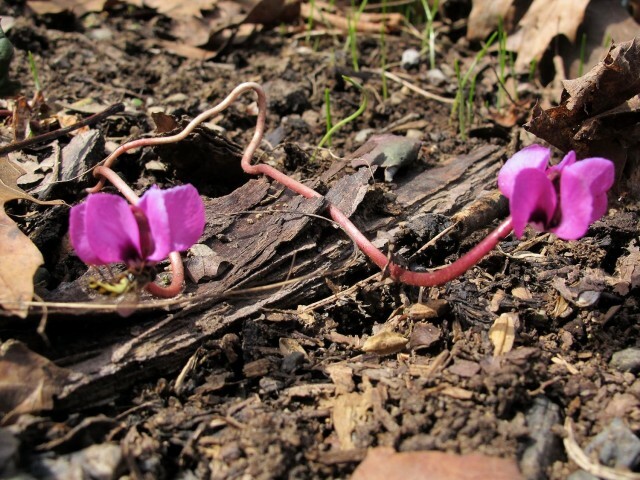 Cyclamen coum is borderline hardy here. So far, so good. ‘Josef Lemper’ hellebore is strutting his stuff. 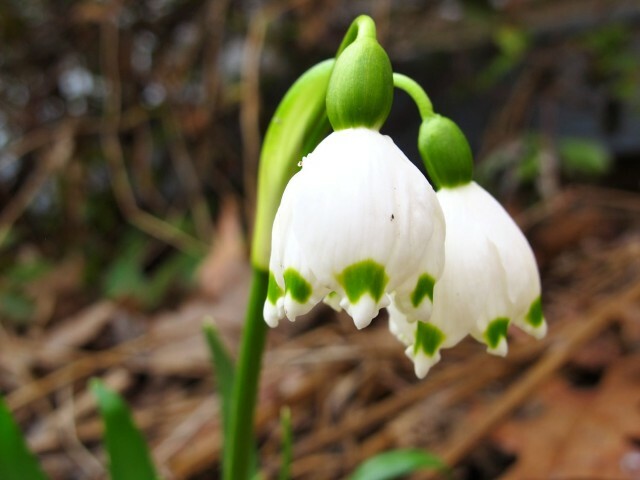 I also have snowdrops blooming all over: in the Secret Garden, along the chicken yard fence, in the Parking Pad bed, and tucked in here and there. Use the search box at right if you haven’t seen enough of them. There are currently some featured on my back page as well, though the display is always changing there. Flowers started blooming here in Mumbai and this is the peak season to enjoy the green whether and blooming flowers altogether. Enjoyed your site. You have a larger variety of early bloomers than I do. I’m kind of limited. Will be adding more of my favorites this fall for more variety in my spring bloomers. . Even the same in our garden also blooming. I wish i could share the pic here. Its blossom time going one everywhere. 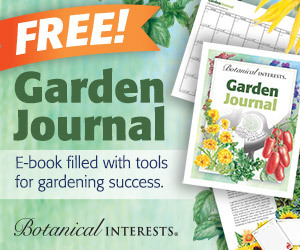 Lovely time for gardeners. Thanks for sharing pics here. Kathy I am delighted to see you have blooms especially those crocus blooming in a colorful group. Nice to see that spring has come to the north! 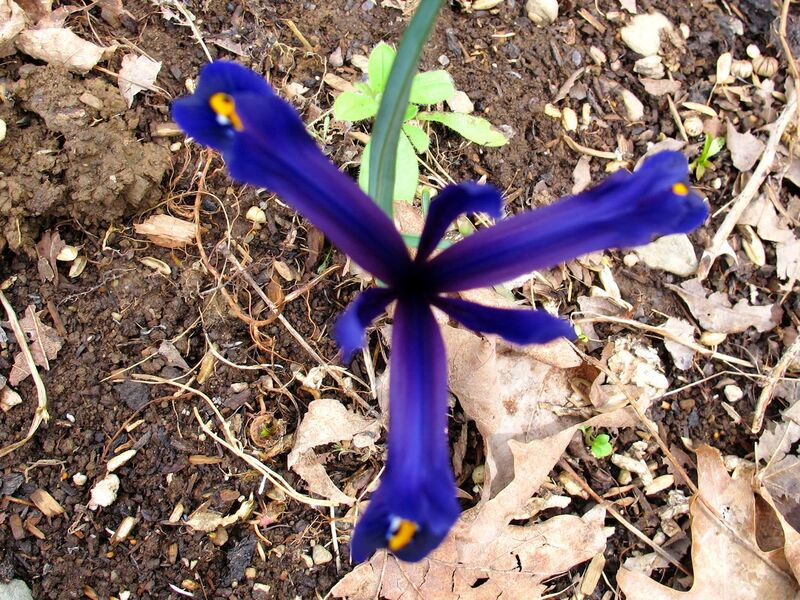 Those miniature iris are great – such a nice sign that spring is really here. Hope they continue to do well for you. 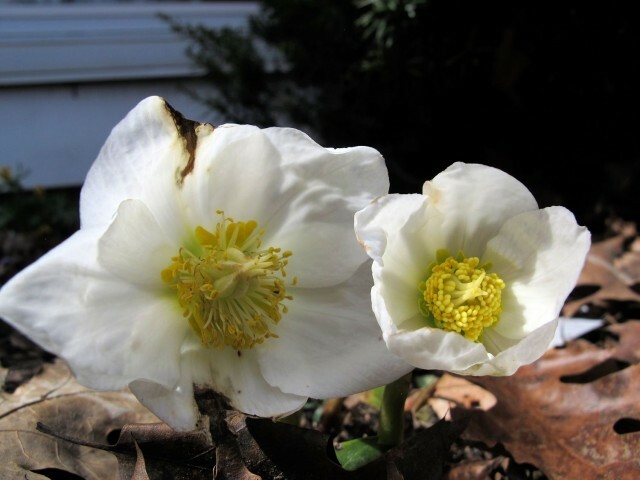 Such a wonderful collection of spring blooms Kathy. Finally! Eh? I have Aconite envy especially since I planted some (did I plant them too deep, upside down I wonder now? ), and haven’t seen any signs. Of course, I’ll try again. I hope for big bunches of drifts someday, too. I had a lot of trouble getting them going, too. I finally succeeded when I was able to get some “in the green” from my sister. I suggest you get friendly with a local gardener who has a nicely established patch. Enjoyed your blooms. Yes, finally, spring is here. Appears I won’t have too many crocuses this year. 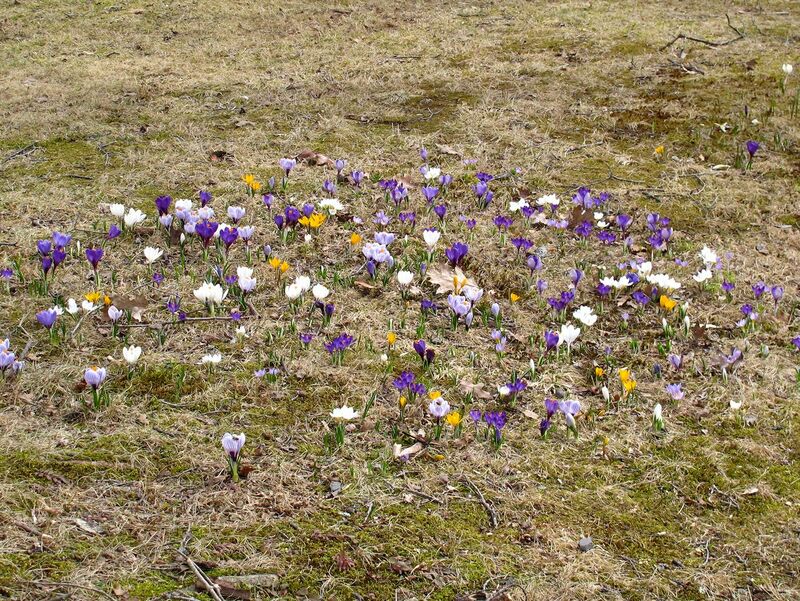 They looked like they were ready to open – came home from work today and the flowers were scattered, shredded, over my lawn. Oh well. I did get a picture of one in bloom. I am going to check into Cyclamen coum – I have plenty of dry shade. And, in my futility project for this year, I am going to try to grow a camilla here in the Binghamton area. Your Spring is ahead of ours……I’m loving the Iris. I saw it on another bloggers post and didn’t realize it blooms so early! 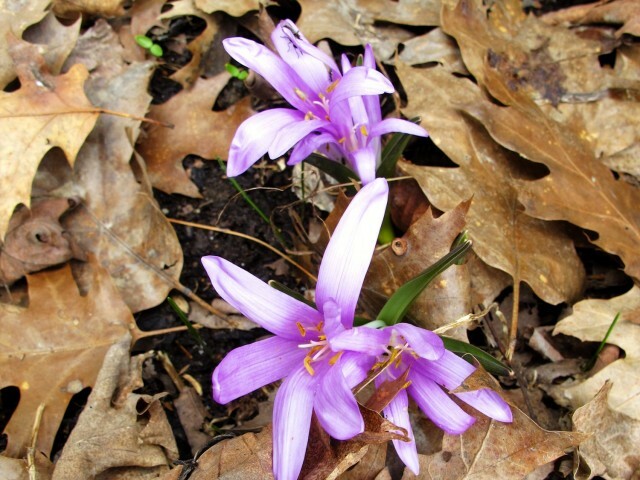 It’s nice to see a big patch or Crocus…..now, that’s Spring!! Your blooms are wonderful to behold! No blooms yet for me, but at least the daffodils are popping up all over! How wonderful, Kathy! 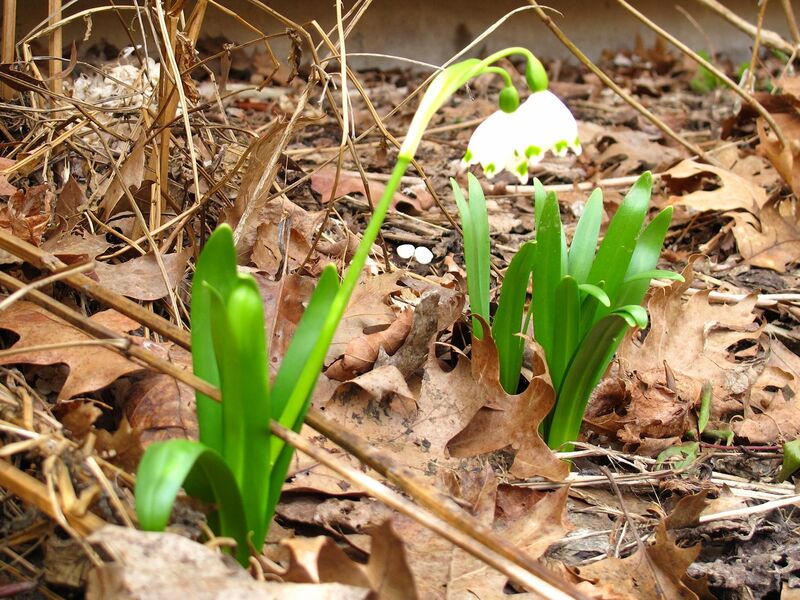 Your spring just starts right in as soon as the snow melts. What a sweet way to give hope to a snow blinded gardener. I am so glad to see the dark blue Harmony retic made it. Those should bulk up over the years and be able to be divided to make a good stand of them. Happy GBBD! 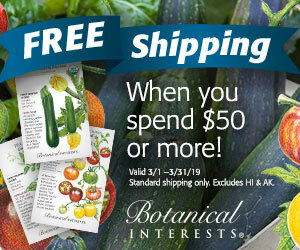 Beautifulness is happening in your garden! I will continue to pronounce Coum wrong! It’s stuck in my head for keeps I think! 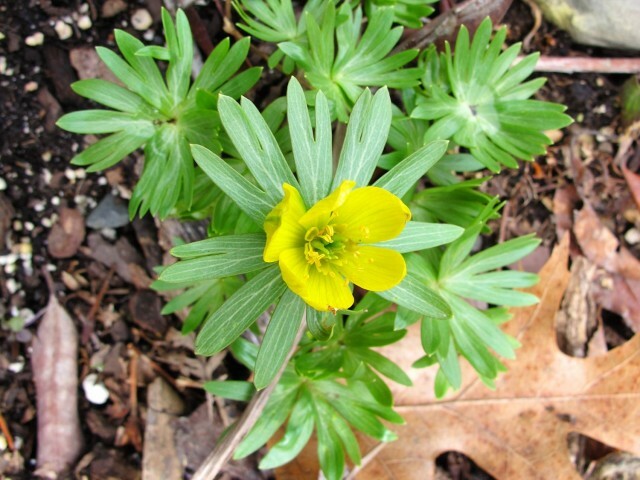 I have aconite blooming – I don’t know how since I never planted them. The other bed has small patches of crocus – purple, yellow and white blooming. Tulip leaves are up but no blooms yet. Spring is coming to Minnesota.